Service is not about me, but about the one being served. 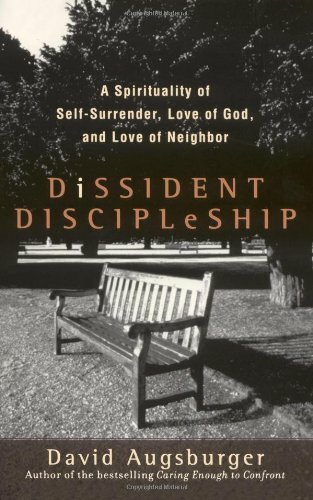 Serving others is “voluntary, inner-directed, sometimes naïve, and truly collaborative” (p147). In discipleship we seek to imitate Christ. We seek to live as Christ lived. To have the priorities Christ had. To continue and play an active role in His mission. The love of God made manifest in Christ is to be fully revealed in our love and compassion, in our interaction and relationships with others. Compassion and genuine concern for the physical and spiritual well-being of the world should be undeniable in the life of those who are disciples of Christ. And yet so often, too often, they are not. May we strive, through the Spirit of God, to be more and more like Jesus….